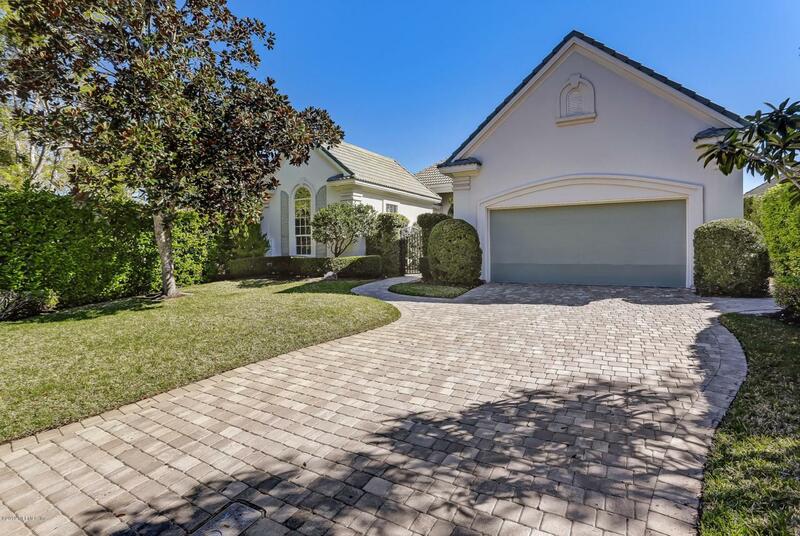 PHENOMENAL VALUE ON THIS FABULOUS GARDEN POOL HOME ON A PREMIUM LOT! If you haven't visited The Plantation at Ponte Vedra Beach, you haven't experienced the only Ponte Vedra Beach community that offers its residents the unparalleled resort lifestyle of an exclusive club. 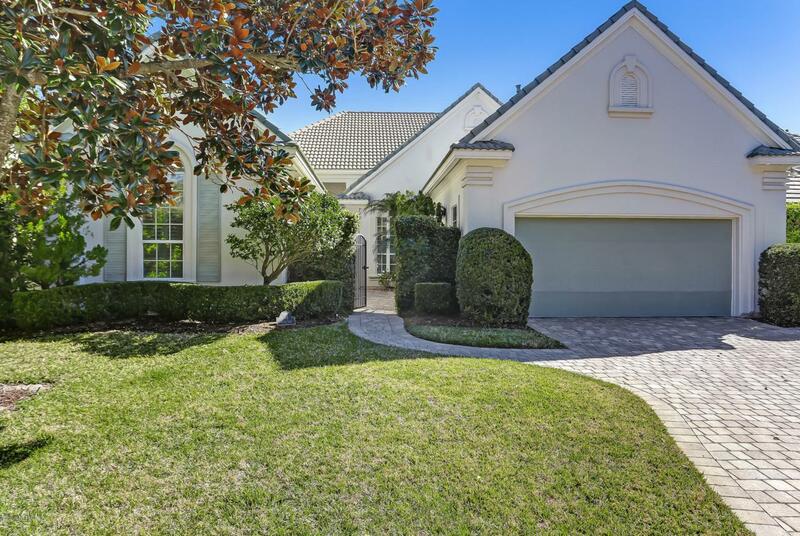 Within this gated community, Plantation families enjoy a private Championship Golf Course, a beautiful Clubhouse, tennis courts, state of the art fitness, a great children's playground and regulation croquet. The Plantation is also the only community in Ponte Vedra Beach that includes, for residents only, a fabulous recently renovated oceanfront Beach Club. The fees for these amenities are included in the monthly association fee. There (SEE SUPPLEMENT UNDER MORE)are no separate Club fees after the initial deposit. (Itemization in Documnents.) As if this isn't enough the owners of this particular residence enjoy included lawn service. 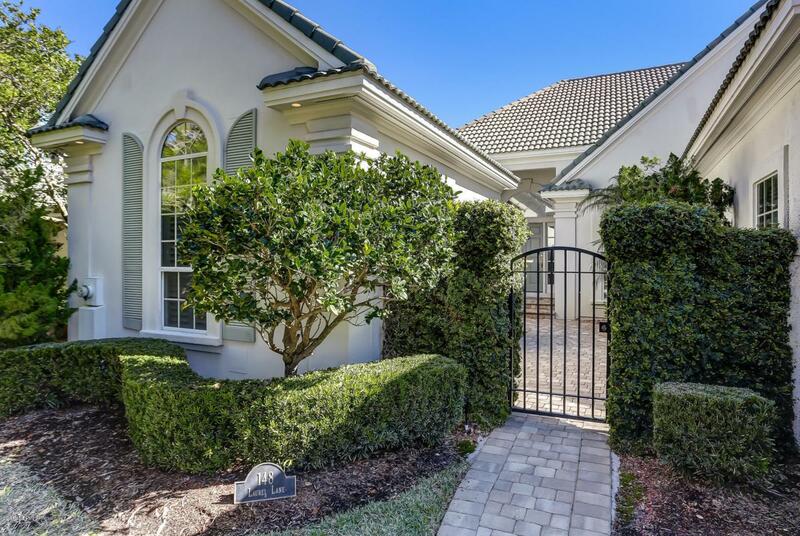 Welcome your guests through a gated garden entrance into this custom built home that offers soaring ceilings and endless lagoon views through oversized sliding glass doors. The floor plan provides ultimate privacy for owners and guests. The conveniently designed kitchen overlooks a spacious family room with a gas fireplace for those chilly winter evenings and you can enjoy formal living as well and both formal or casual dining. There are many options to use the space to fit your lifestyle! The owner's suite has huge custom built closets that separate the bedrooom and the large owner's bath. A new Carrier HVAC with an extended warranty, beautiful new stainless appliances, a tankless water heater, a climate controlled attic for storage, custom cased windows, crown molding and baseboards throughout and solid wood doors are just a few of the features. A sparkling pool and wonderful, large screened outdoor space overlooking the lagoon and the golf course complete the offering. Please see full list of features in the documents. 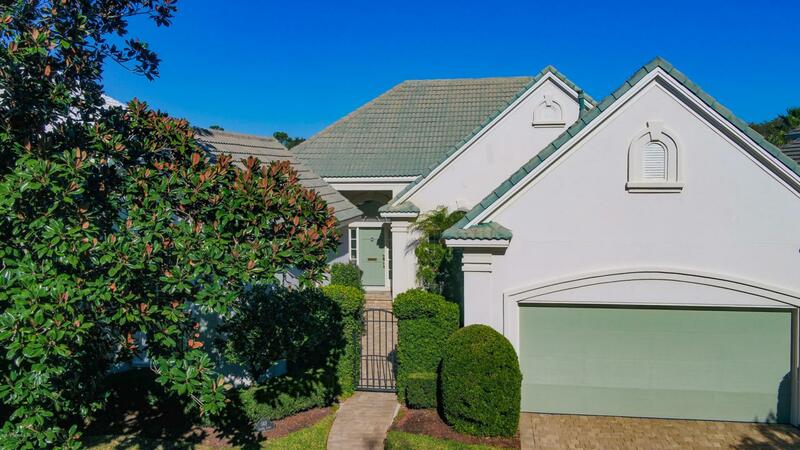 You won't want to miss the opportunity to make this newer residence in Plantation your home and begin to enjoy the lifestyle you deserve in St. Johns County offering A rated public schools and fabulous weather year around!